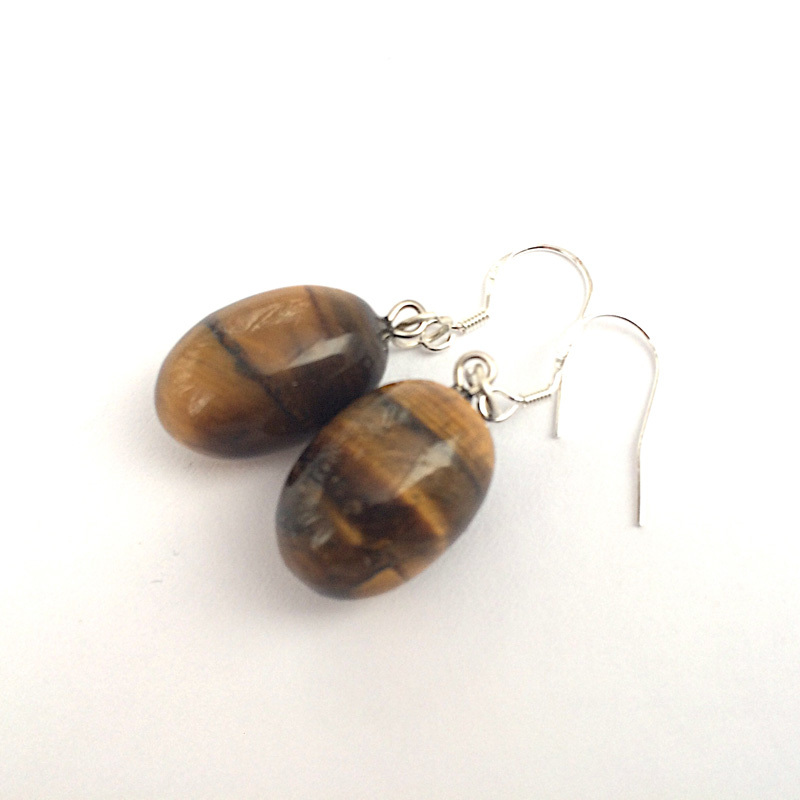 Handcrafted in our studio, as part of our Back to Nature jewellery range are these beautiful and mysterious Tiger’s Eye fashion earrings. 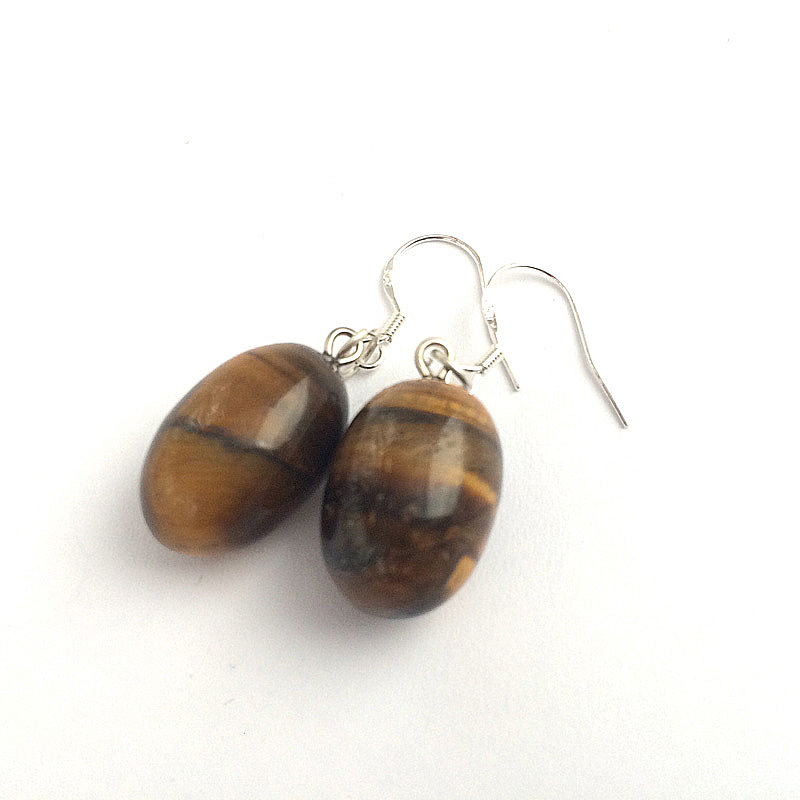 With a drop of approximately 1.5”, these Tiger’s Eye earrings come in mesmerising shades of caramel, hazelnut and dark chocolate brown and are finished off with quality silver plated ear wires. Handcrafted in our studio, as part of our Back to Nature jewellery range are these beautiful and mysterious Tiger’s Eye Earrings. With a drop of approximately 1.5”, these stunning fashion earrings come in mesmerising shades of caramel, hazelnut and dark chocolate brown and are finished off with quality silver plated ear wires. Tiger’s Eye is a yellow and brown banded form of shiny quartz and is often used in crystal and chakra healing for concentration, focus and mental clarity. It is also believed to bring its wearer protection, harmony and balance. All of our jewellery is nickel free and hypoallergenic friendly and is supplied in a gift box. Inspired by the intensity and depth of the natural elements, this is naturally chic and feminine jewellery.